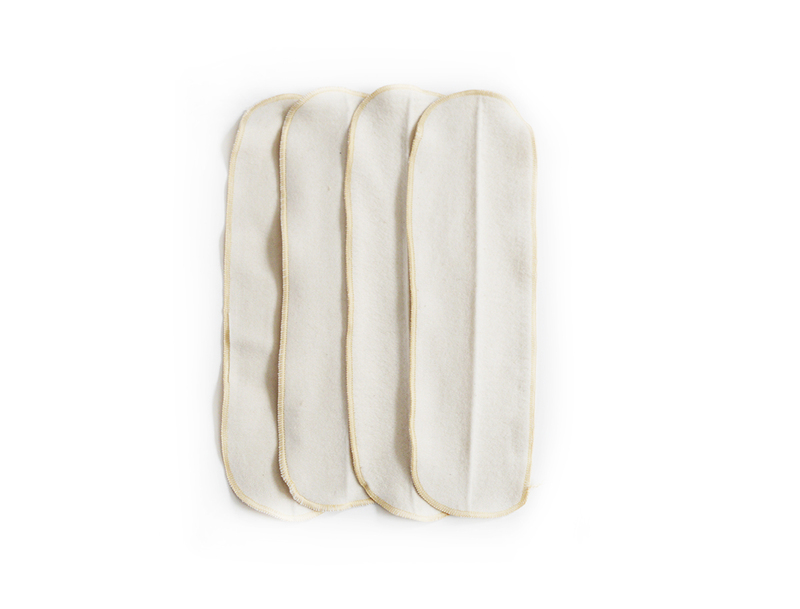 This special bargain buy is for a set of 4x 2-ply bamboo boosters for your little one’s one size pocket diapers, or one size all in one diapers. As part of our zero waste program, our aim is to reduce the disposal of as many materials as possible. These bamboo boosters are made from our end cuts produced when manufacturing our bamboo trifolds. Each insert will have a crease in it until washed and the sizes and shapes will be irregular. Our bamboo material is milled in Canada. Boosters are an excellent way to add just a little bit of additional absorbency without the bulk of a full size trifold or insert. Stuff in the one size Easy Pocket diapers or lay in our Ready-Use or Dry-Nights AIO.